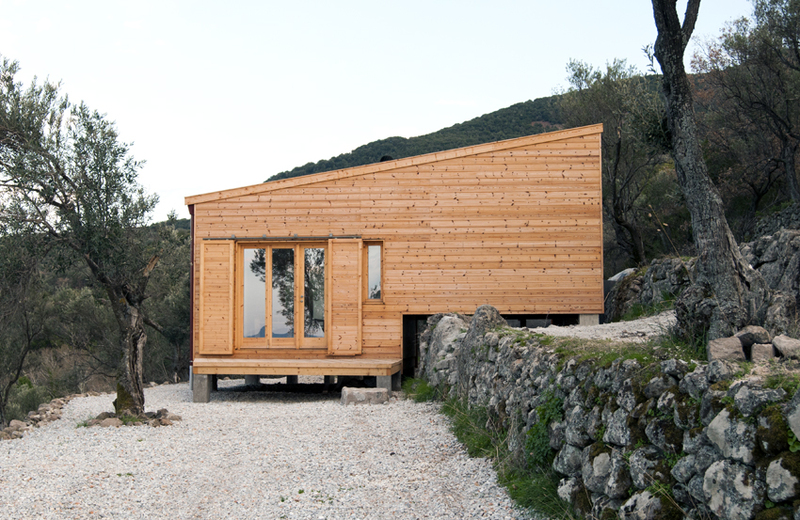 The Hermitage Sykaminea is located in an olive grove on the slope of Mount Lepetymnos, the highest mountain on Lesvos. 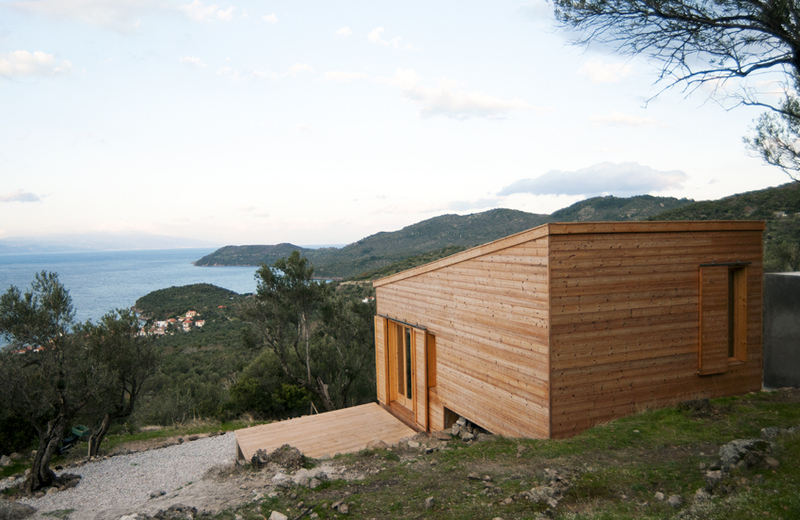 It accommodates two people and is designed as a place of retreat from everyday life. Agricultural storage houses that are built by farmers on the island served as model for the Hermitage. 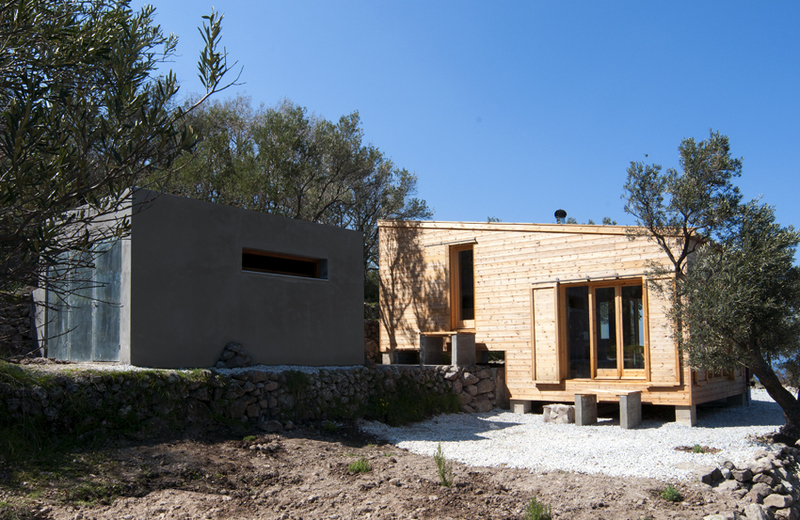 The house adapts the structure of the terraces of the olive grove. 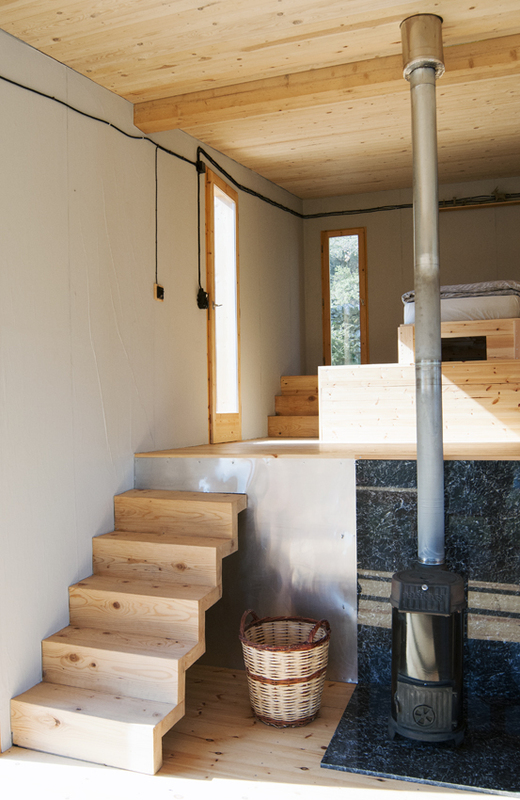 Thus, the interior, which consists of one room, is divided into three levels. From the window front you can see all the way over the sea to Turkey. 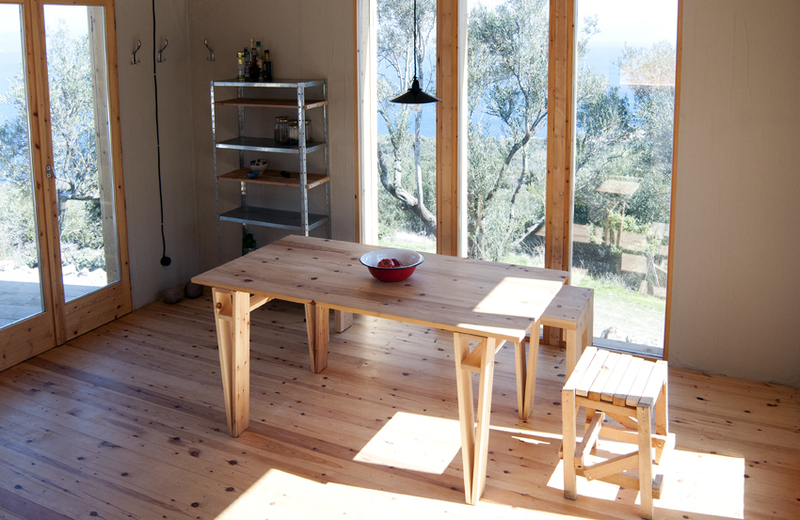 The orientation of the wood house was set so that in the summer a pleasant climate reigns in it. The wind coming mainly from north passes through the large doors, which are oriented towards north-south. The shutters provide shadow. 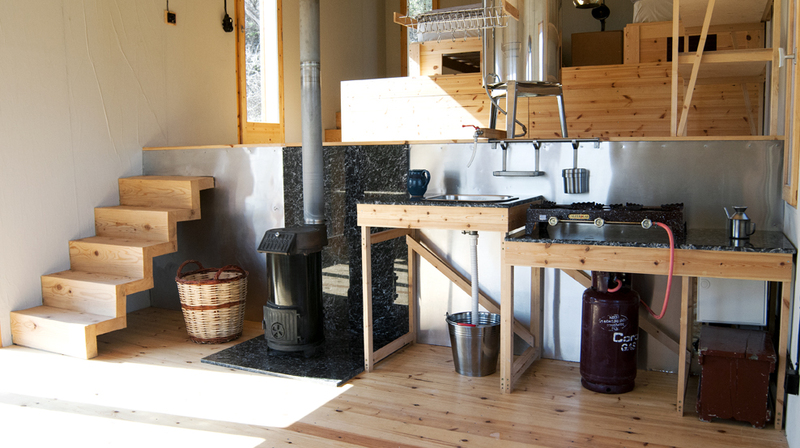 In winter the insulated walls keep the heat of the wood stove and the wooden interior adds to the sense of well-being. 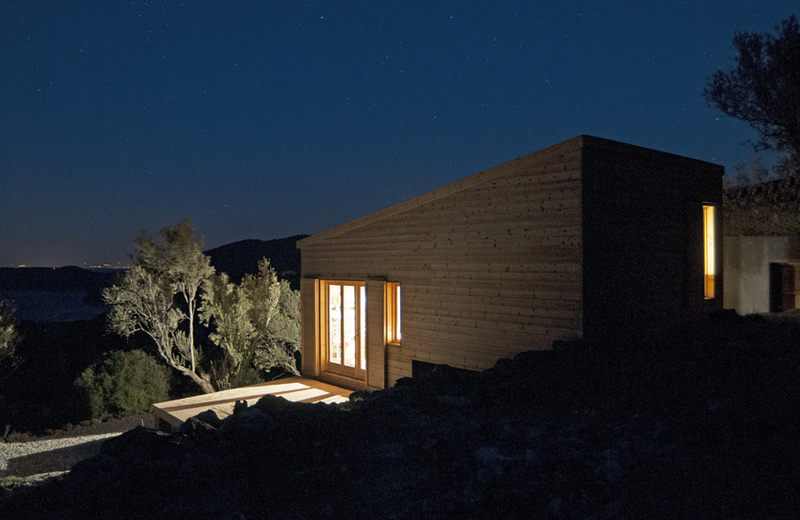 The house offers simple comfort. The power supply uses 230V, supplied by batteries recharged by a photovoltaic system. 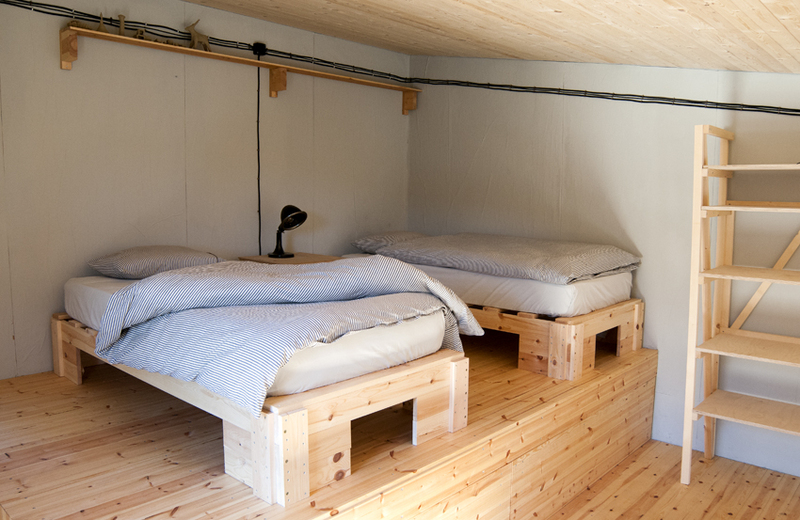 The simplicity of the building and the ensuing lifestyle require visitors to give time and attention to everyday needs. The Hermitage gets water from the village of Sykaminea, which gets its water from a groundwater well. Water consumption at the Hermitage is a conscious process. Because there is no running water, you have to carry fresh water in and wastewater out, so you treat water more carefully. Only organic cleaning agents are used in the house, because the wastewater is used to water the herb garden next to the house. The herbs can be used for cooking and visitors can take them home. 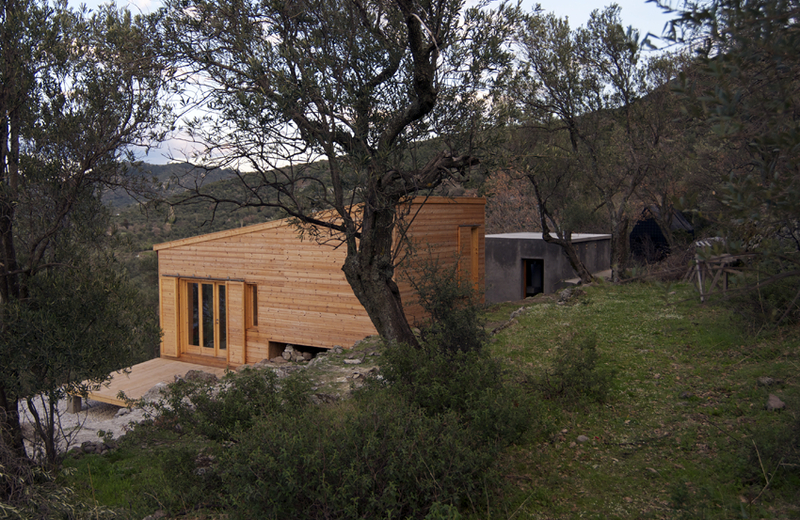 An external bath house next to the wooden house offers running water. The wastewater from the bath house goes to two different tanks. One tank is for showering, the other for the toilet. 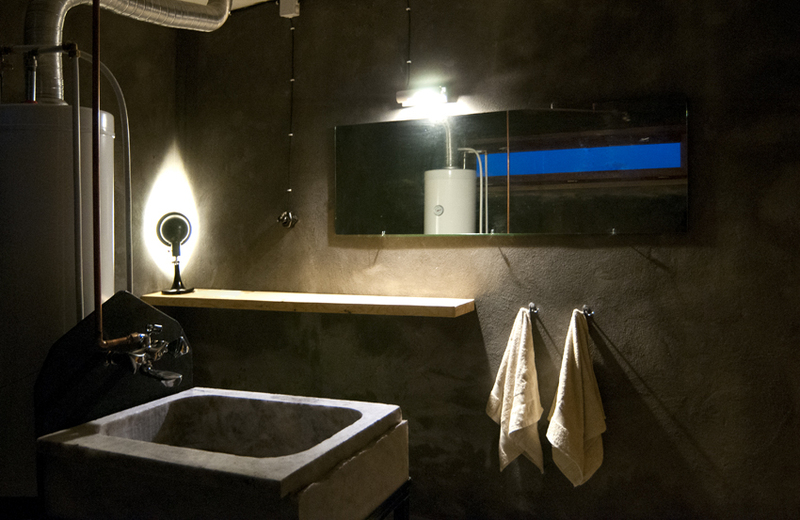 The shower water is used for the herb garden and the olive trees. The toilet water is regularly pumped out, picked up and used as fertilizer.